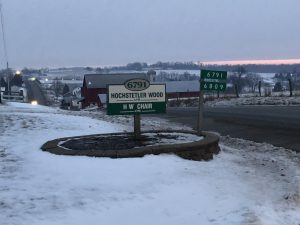 The Amish woodshop that crafts solid wood dining chairs for the Prairie Collection is nestled in the heart of Amish country, Ohio. 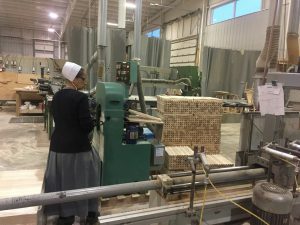 There, the talented Amish artisans, both men and women, take to their work producing solid wood chairs with care and precision, with each chair part handled by the craftsmen. The Prairie Collection features high quality Amish dining chairs, bar stools and benches in a variety of styles ranging from classic to contemporary. 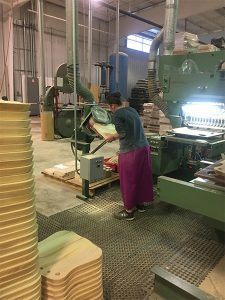 Here’s what goes into handcrafting solid wood chairs for the Prairie Collection. The Prairie Collection Woodshop in Ohio. 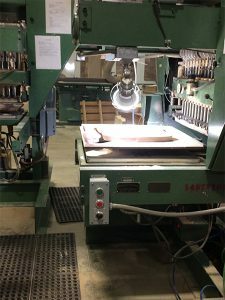 The woodshop has its own rough mill, where the boards are marked, run through a scanner to check for imperfections, and cut. A colored wax is put on the ends of the wood boards to prevent the wood from drying out. 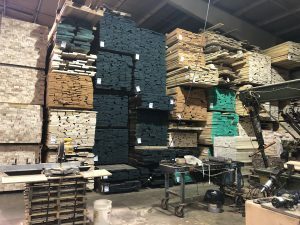 Scrap wood goes into a shredder to make sawdust for pet bedding or is sent home with employees to be used as firewood. Wood from the rough mill. The woodworkers assemble the parts for the chair back that have been cut. They add glue and lay them into a press to press them together. 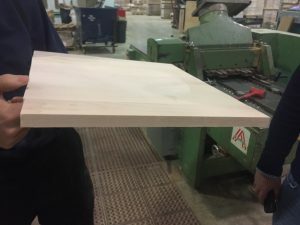 Clamps are not needed and the boards are glued within five minutes. The chair backs are hand sanded for smoothness. Unfinished chairs that have been built and sanded. 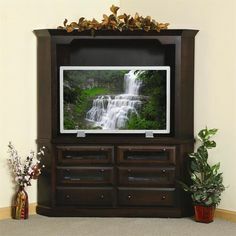 The woodworkers use mortise and tenon joints, which are one of the strongest woodworking joints that can be used, with the tenon fitting securely inside the mortise, adding to the strength and durability of the chair. Glue is used to secure the pieces together. 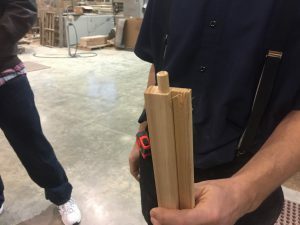 The woodworkers developed a special glue gun to distribute the glue evenly to the sides of the pocket instead of having the glue pool at the base of the pocket. The craftsmen are always intent on building the strongest product. A mortise for a chair leg. 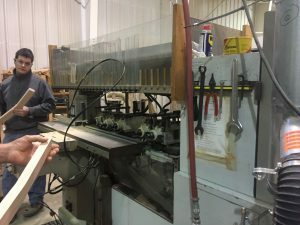 The machine that cuts out the mortise. 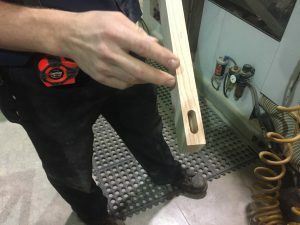 The board of the tenon makes it a continuous part of the wood, much stronger than a connection where gluing a dowel is used. 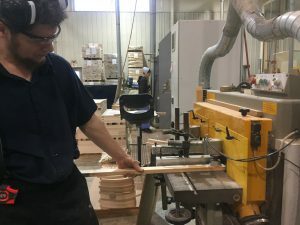 While the Amish have their hands on every part of the furniture, some machines are used to improve precision and cut down a bit on build time. This machine can shape four chair legs per minute. It goes in squared and comes out shaped. Then the woodworkers take over to check each leg and sand and refine the legs where needed. A woodworker putting the chair legs into the machine. 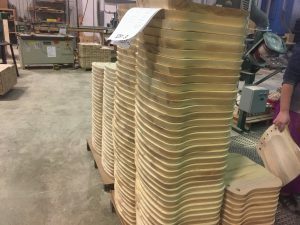 The chair seats are cut and shaped with great care. Sanding works out any imperfections in the wood and makes it silky smooth for finishing. Glued boards for a chair seat. 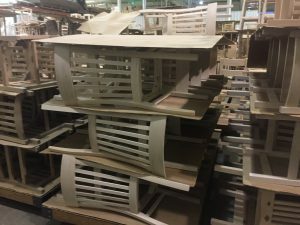 A stack of seats in the shop. Seats are placed under the light to check for imperfections which are then carefully sanded out. All parts of the solid wood dining room chairs from the Prairie Collection work together to create a wood chair full of strength. The legs and stretchers provide stability, the shapely seat offers comfort, and the back supports. Chairs from the Prairie Collection are offered in six different wood species with custom upholstery options. 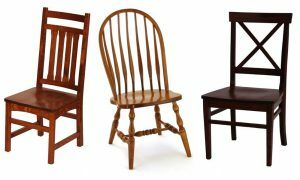 These Amish-made dining chairs are built to last for generations.